Okay, we have to admit: Spider-Man didn’t become the legendary hero just by fighting bad guys and swinging through the skyscrapers of Manhattan. He was destined to be the arachnid hero and super crime fighter in New York when he was bitten by a radioactive spider! This gave Peter Parker the strength, agility and senses of a spider and thus he became known as Spider-Man. However, next to the bite of the radioactive spider, Spider-Man did work hard to become the legendary superhero he is today. At first, Spider-Man used his acquired strengths to earn some prize money with fights. By perfecting his fighting skills and training regularly though, he prepared himself for the crime fighting life. And when his dear Uncle Ben was murdered by a thief who he had let go before, Spider-Man knew he was going to use his powers for good. After all, with great power comes great responsibility! 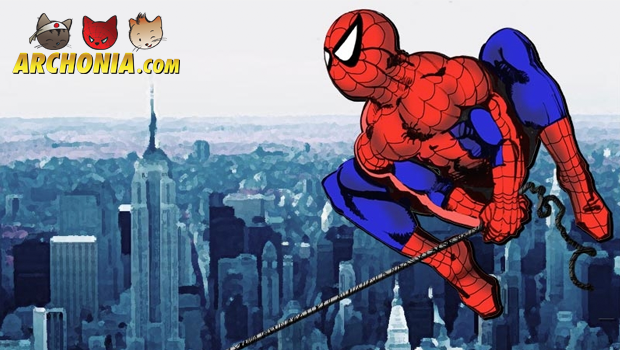 We can’t promise you will be a Manhattan crime fighter and become a legendary hero like Spider-Man with this training, but at least you can get super fit by doing these Spider-Man fitness exercises. How many sets can you pull off? Hell, you might even be able to stop a train full of people from derailing. (Pro tip: please don’t try that).